As you settle on your goals for 2016, you’re probably considering where to focus your time, your financial resources, and your energy. What is going to bring you the greatest return? What will help you hit the next milestone? Here’s a question to add to the list: Is this the year you get on Pinterest? If you are trying to reach new audiences, drive new sales for a product or service that people use, or generate more traffic to online content, then I’m here to tell you that the answer is YES. Pinterest has grown up a lot in the last year and is now a powerful marketing channel for businesses looking to reach high-value customers. You may still think of Pinterest as only a place for women or those planning a wedding or decorating a new home. That’s like saying Facebook is only useful for reaching college students. The platform has changed. More than 100 million people are actively Pinning on Pinterest as of September 2015. More than 30 percent of those users are men, and 40 percent are from outside the U.S. As the demographics of the platform change, new categories are growing. Mary Meeker’s 2015 Internet Trends Report revealed Pinterest has seen particular growth in “non-core” categories. Car and motorcycle pins grew by 118 percent and men’s fashion pins grew by 96 percent year over year. More important than those stats are what we know about people who use Pinterest. Unlike other social channels, people come to Pinterest with a shopping mindset. They are on the hunt for things to buy and learn about. For anyone trying to sell a thing or generate attention for an idea, there is no better place on the web to be today. Have I convinced you yet? Great. Now on to how you can get started building that Pinterest profile from scratch. First things first – What is your goal? Before you start creating any boards, it’s important to take a moment to decide what you want to achieve. Are you just getting started and looking to acquire first-time users? Are you trying to build a community for existing users? Are you trying to grow your own brand and drive engagement? Think through these questions and write them down before you get started. The answer to these questions will help you stay focused and decide how to measure success. Are you paying attention to engagement metrics like likes and repins, or just want to generate traffic back to your blog or online store and look more closely at clicks and web traffic. For example, say you are an e-commerce company that wants to grow customers and build a brand. You will want to see how people are engaging with your content and how that is driving more traffic back to your website. You also want to think about who are your target customers. Knowing what you want to achieve will help you determine who you need to reach. Then take some time to learn as much about them as you can. Who are they? What are their interests? What inspires them? How do they spend their free time? Pinterest is a great place to study this behavior. Try searching a keyword that you think your target user might be Pinning about on Pinterest. Click “Pinners” below the search box to see some of the most popular Pinners of that keyword. Study what they are pinning, how often, and the style of their images and text. Who do they follow? All of this information will help you figure out what you need to create to get their attention on Pinterest. Keep in mind what they look for when you make content, and where they tend to spend their time. 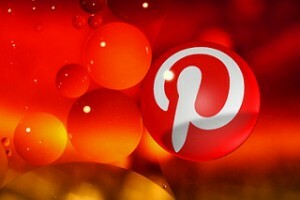 Pinterest has nicely organized popular topics on the platform for you. This is a great place to start to consider where your content can fit in. You can find the categories in a drop down to the right side of the search box. Click a category and you will find a page with more sub-topics. Click one of those topics and see a list of more related topics. Spend some time clicking through to explore what topics your content can fit into. See how many people are following a given topic to consider if the audience is right for you. Click through to some of the users following a topic and see if they match your target audience. Once you have topics in mind, try searching those topics in the Pinterest search box. You will then enter Pinterest’s Guided Search. Below the box you’ll see a list of words and phrases. These are the most popular keywords searched connected to the phrase you searched. Spend some time searching different keywords and keyword combinations. Note the keywords that are most popular for each of your most relevant topics. Now that you know what you are trying to achieve and how, the easy part is putting the plan into action. Pinterest profiles are made of up Pins organized in Boards, or groups of Pins. Create boards based on your target keywords. Then begin to fill those boards with relevant Pins, similar to the style you learned your audience prefers. Remember that board titles, board descriptions, and Pin captions are all great places to incorporate those keywords. Be as descriptive as possible, using the space allowed in each of these spaces. Include keywords in your profile name and description as well if possible. Start by making your Boards private while you work on design. We recommend having at least 10 Pins in a board before you make it public. Like many things in life, you will get out of Pinterest what you put in. The more you Pin and engage with the community, the more followers you will acquire and more traffic you will direct. Pinterest is a curation platform and you will win by joining in that behavior. Complement your original content with curated content from other sources that your audience will find valuable. A good rule of thumb is at least 4 Pins from other sources to every 1 of your own. Consider using a scheduling tool like Viraltag to help you keep up a consistent posting schedule. Research when your audience is most active on the platform and make sure to schedule Pins to appear at that time. In general, evenings from 8 to 11pm and Saturdays are the most popular times to Pin. Then measure and iterate. Try different styles and engagement strategies and watch your analytics to see how it performs. Then keep going. 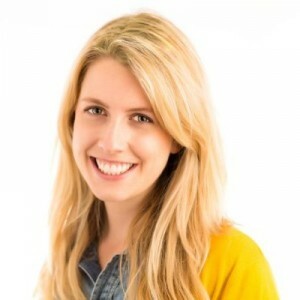 Jilly Badanes is the Director of Marketing at Viraltag, a marketing tool for visual social media. She writes about visual content marketing, social media tools, and Instagram and Pinterest strategies. Her writing can be found at Viraltag’s Blog, Social Media Examiner, and Social Media Today.